On November 15th 2018, Lyme disease was debated at the European Parliament in Strasbourg, where MEPs called for a European plan to combat Lyme disease. Over 20 representatives from the member states spoke of the explosion of Lyme and other tick-borne diseases, and the major health challenges this poses. “We know that the proliferation of ticks and the increase in bites are directly responsible for the scale of this disease in Europe,” one MEP commented. Many MEPs spoke of the lack of data and statistics with several countries having no facts or statistics on Lyme disease. This in itself has and will impact the allocation of funds for research. They agreed that it is vital that data is collected and shared to aid harmonisation of practices. “There is no European consensus regarding the treatment, the diagnosis and the detection of Lyme disease,” the resolution pointed out. “This has left patients in a vacuum”. It was agreed that there needs to be greater awareness of the disease among the medical profession, that more knowledge and training is required and that current testing is outmoded and shown to be far from accurate and reliable. Such treatment gaps mean that over a million Europeans are struggling to receive the treatment they deserve in the face of an “overly conservative medical response”. 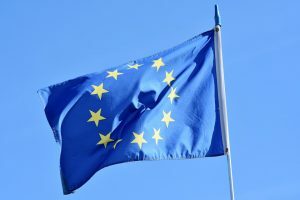 A resolution was adopted calling on the European Commission to develop a plan to combat Lyme disease, to accompany mandatory reporting in all member states, a better exchange of best practices and additional funding for the methods for diagnosing and treating Lyme and the promotion of research efforts. Equally, the MEPs asked that Lyme disease be included on the EU’s list of infectious diseases and that it be recognised as an occupational disease among farmers, foresters and other professionals that work outside, such as geologists, biologists and archaeologists. There was agreement that a vaccination needed to be developed urgently and that major funds need to be directed towards research following on from the £25 million given by the European Investment Bank in 2016.